Never Forget Fallen Soldier Fleece Blanket - 50x60 | BUDK.com - Knives & Swords At The Lowest Prices! 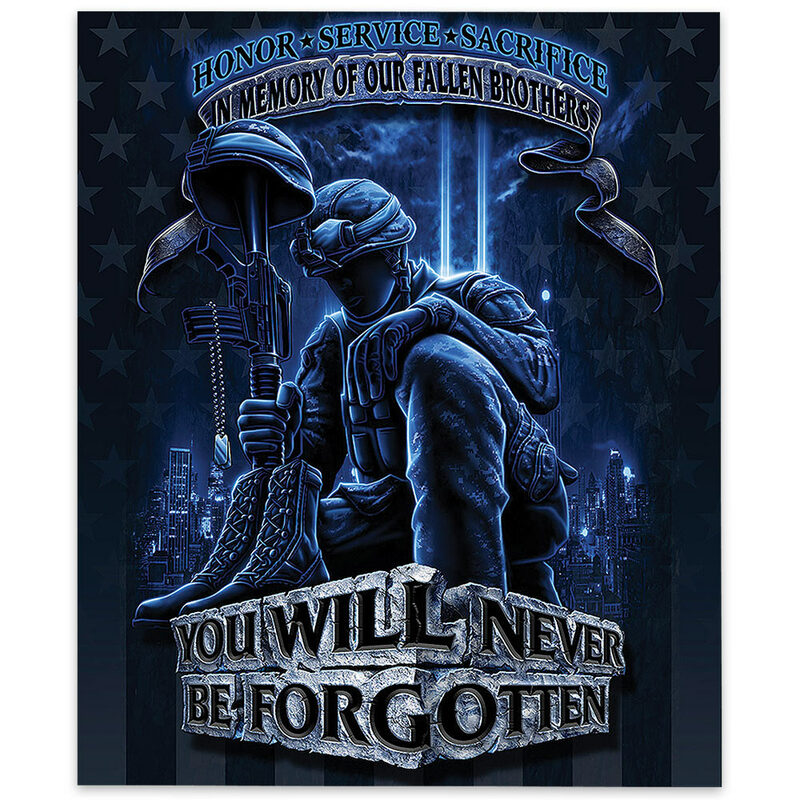 Our Never Forget Fallen Solider Fleece Blanket really is an exceptional tribute piece to our fallen heroes and makes an excellent addition to your patriotic décor. The blanket has rich blue toned artwork featuring a soldier kneeling in front of the iconic battlefield memorial and the sentiments, “In Memory of our Fallen Brothers” and “You Will Never Be Forgotten.” It’s made of soft, plush fleece material and is durable and lightweight - perfect for snuggling up under!